Big Pharma has become synonymous with the term “price gouging,” especially over the last few years. The EpiPen incident — when Mylan raised the price of the life-saving drug by more than 500 percent — is truly only the tip of the iceberg; there is much more to come from Big Pharma, and they’re not taking any chances. The industry has spent the last three years planning for the release of new cures for Hepatitis C — and for how they’re going to convince insurance companies, government health programs, and the general public that the astronomical price tag that comes along with these new drugs is reasonable. The cost of these new treatments is expected to range anywhere from $40,000 to $94,000. With an average treatment length of about three months, the cost of these upcoming drugs for Hep C will reach up to $1000 per day. How will the pharmaceutical industry continue to justify these inflated price tags? They’ve employed a new ally to help persuade Congress, insurers, and the public that these devastatingly high price tags are worth it. A new player has been added to the Big Pharma team, to help the industry convince the rest of us that these prices are somehow justified. The company, Precision Health Economics, is a leader in economics and health care at major universities, and also consults for three pharma corporations that have developed treatments for Hepatitis C: Bristol-Myers Squibb, Gilead, and AbbVie. Waldman goes on to note that at a congressional briefing last spring on Hep C, the majority of the panelists were current or former Precision Health Economics consultants. Three out of four panelists either worked for the firm currently or had in the past. One was even the company’s co-founder, Darius Lakdawalla — who is also a professor at the University of Southern California. “The returns to society actually exist even at the high prices. Some people who are just looking at the problem as a pure cost-effectiveness problem said some of these prices in some ways are too low,” Lakdawalla stated during the briefing. Big Pharma has come under fire for their exorbitant prices that have all but become an industry standard. Even President Donald Trump has vowed to put a stop to their madness and bring the prices of medicine down. The industry, of course, will not be going along with this silently. Precision Health Economics has taken the collusion between higher education and industry to a new level, and could indeed play a key role in Big Pharma’s efforts in swaying the opinions of both the public and Congress. In 2016, the industry trade group PhRMA reportedly sought to collect an additional $100 million in annual dues from its members, in order to gear up for defending the ever-increasing price of drugs. The pharmaceutical industry has spent years lobbying politicians, and pouring millions of dollars into protecting a wide range of their interests. For example, between the years of 2006 and 2015, Big Pharma spent some $880 million to protect opioid medications, and prevent marijuana legalization. Ironically, the opioid epidemic is a driving force behind rising numbers of people infected with Hepatitis C — for which the industry has now created several expensive drug treatments. Nothing says “wholesome industry practices” like profiteering off of multiple problems you helped create. 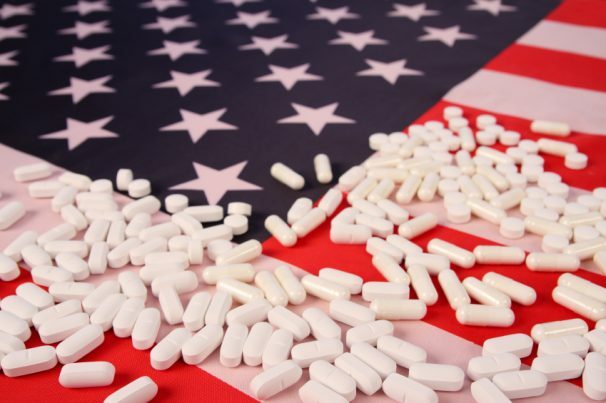 The pharma industry has used its financial prowess to influence politics, and even the way doctors learn, teach, prescribe, and conduct research. Adding economists to their laundry list of dirty sidekicks is not an unsurprising move. One of the industry’s other key moves in their play to preserve both their power and profits, is to claim that imposing regulations on their pricing would somehow negatively effect their ability to conduct research. However, reports have indicated that the cost of research is actually about one-fifth of what industry representatives purport them to be. Furthermore, the pharma industry as a whole spends far more on marketing than they do on the research for the drugs they’re trying to sell. Never mind the fact that in many instances, tax-payers unwittingly pay for a significant portion of their research. Big Pharma may be trying their best to sway opinions on drug pricing, but the truth is that they’re protecting themselves — and no one else. Follow more news about Big Pharma at BigPharmaNews.com.